It has been some years now that we get quite a lot of imported Holiday Beers. From Golden Carolus, St. Bernardus, Delirium, Sam Smith, St Peters and Chouffe, to Flying Dog and Nøgne, with an occasional German Festbier, and even some little luxuries such as De Dolle or Struise. And during the last 2 or 3 years, we have had many, many more. But it is not that we have had our own Christmas beers for many years. It was in 2002 that Estrella de Navidad, by Hijos de Rivera, hit the supermarket shelves. 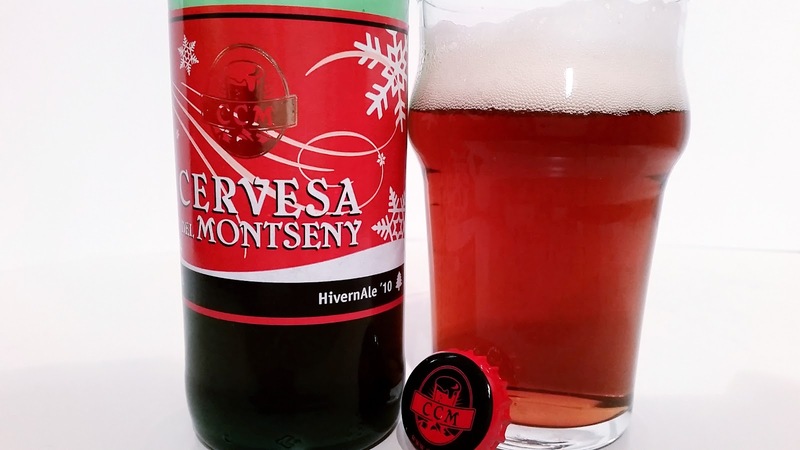 But 13 years ago there were no microbreweries here, so we had to wait until 2007, when a newly founded Companyia Cervesera del Montseny released our first Winter Ale: HivernAle, inspired by British Winter Warmers, with star anise as a featured ingredient. In 2008 it was the turn of the first of our microbrewers, the recently deceased Llúpols i Llevats, that launched their Glops d'Hivern, quite special at the time with rosemary and honey in the recipe. 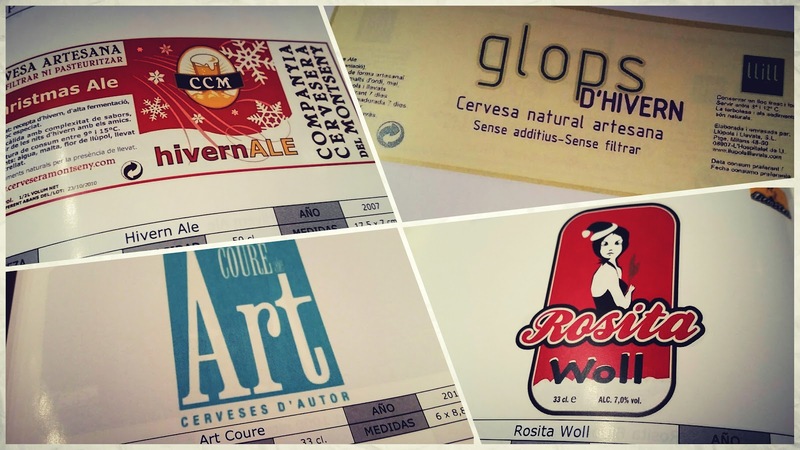 Pictures taken from the book "Catálogo de Breweriana Catalana", by Jorge Bort and Jordi Expósito. I can still remember when in 2010 I went to Rosses i Torrades looking Christmas beers with great enthusiasm. The store had opened that same year in the centre of Barcelona, ​​when there were not many places to buy a wide variety of bottled beer. They announced on their website (five years ago people was not social networks for beer-related information) that they had a small selection of seasonal beers, including a novelty by local brewers Cervebrew: Art Coure, a 8.3% ABV Ale, warm and spicy, with nutmeg and sugar cane. Also that year, La Gardenia released Rosita Woll, a bottom-fermented beer with a toasty and 7.0% ABV. "In just 4 years, it is difficult to quantify exactly how many Christmas beers have been launched"
So, until then there were only 4 Christmas beers produced by local microbreweries. What was the turning point? In 2011, the newly founded beer association Singlot -hiccup-, organised the first themed beer festival of our scene: Fes-t'hi, a festival focused on winter beers. 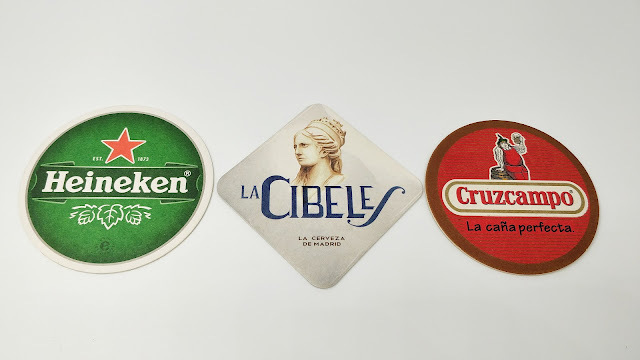 This was a turnaround, not only in terms of beers released with the "Christmas" label, which thereafter began to dramatically increase in number, but also in terms of the number of special limited editions that began to be released for all kind of beer events and festivals. A phenomenon, the latter, which was particularly intense until 2014. HivernAle '10 by Cervesa del Montseny. This was the last edition to feature the year printed in the label. Incidentally, this weekend Fes-t'hi celebrates its fifth edition, having become a true reference in the beer Festival calendar, and certainly one of my favorites. All in all, it is difficult to quantify exactly, as of today, how many local winter beers exist or have existed, considering that many of them are a single batch, or for local consumption in its strictest sense. Let's not overlook that we're all this change of situation has occurred in just four years. So all this should serve us to realize how young our beer scene is, but also the speed with which it has grown to what it is today, and the good work that has been done. Looking back, we have a good incentive to keep working together and good, just as we have been doing these years.